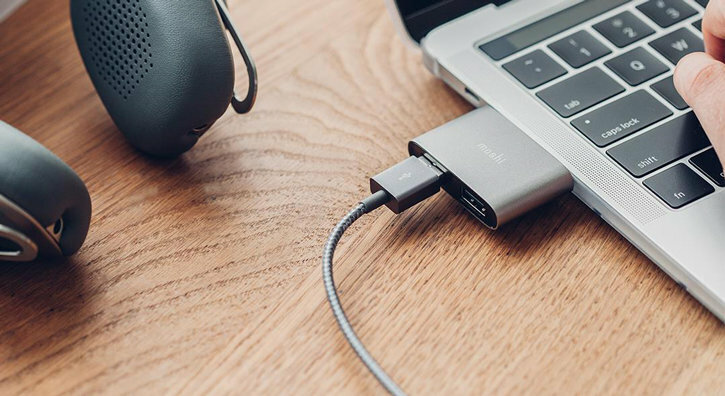 This compact adapter from Moshi can convert and expand an USB-C port on your laptop or MacBook into 2 standard USB-A ports for ultimate connectivity. 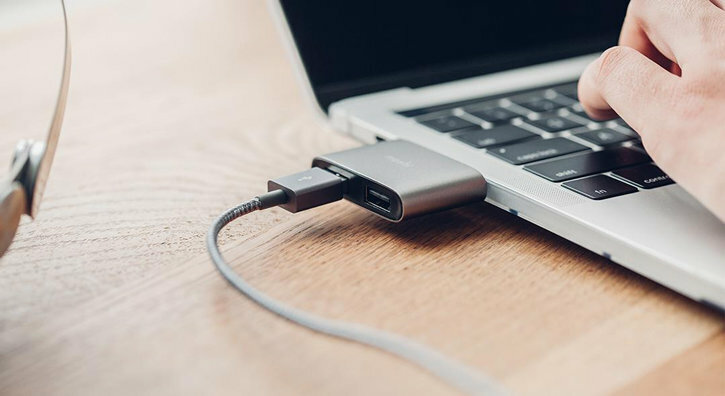 A plug & play design will allow you to connect or access your peripheral and mobile devices in no time. I thought it would have a more positive and flush fit against the thunderbolt port. Otherwise. It is compact and does the job. 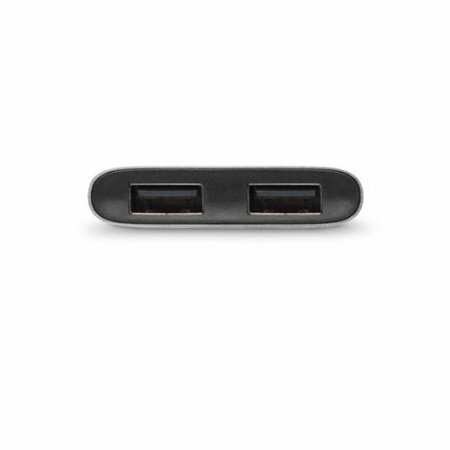 Have you got a lot of devices that use a traditional USB-A connection? Does you laptop come just with an USB-C port? 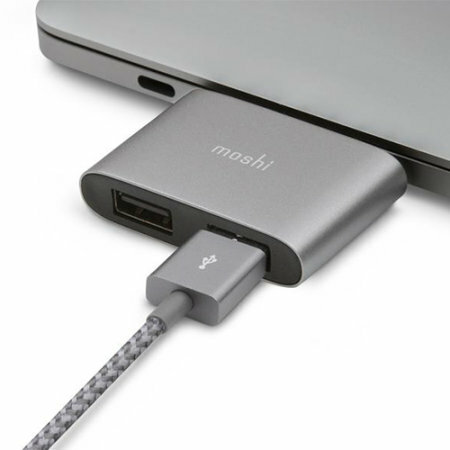 This Moshi adapter with turn and expand your USB-C port on your laptop into two full-sized USB 3.1 ports, so you can easily connect and use your keyboard, printers, mobile phones and other gadgets. 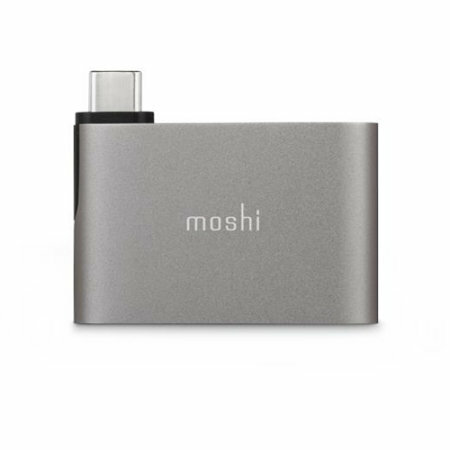 This Moshi USB-C to USB-A adapter is encased in anodized aluminum, which offers a premium look and protects its from bumps, knocks and scratches. 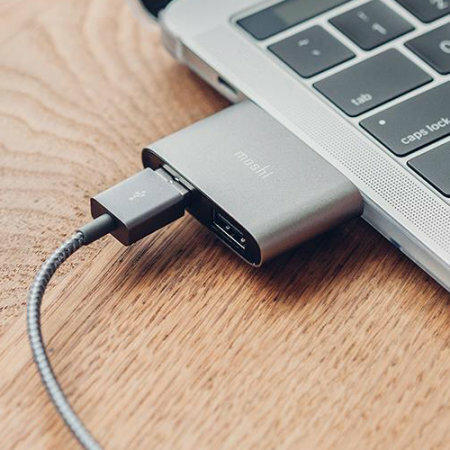 A modern titanium gray color will also compliment your laptop's or Macbook's design, making sure you have an eye-catching setup. 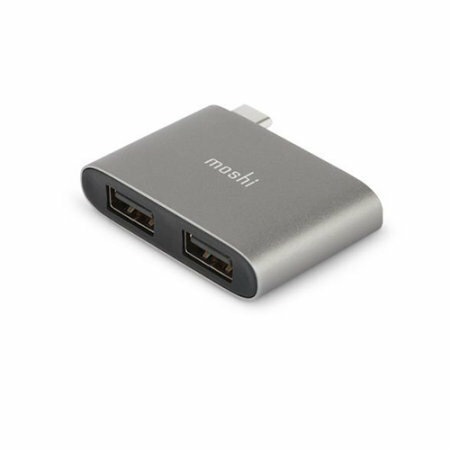 Moshi USB-C to USB-A Adapter features an USB 3.1 Gen 1 transfer protocol, which offers data transfer speed of up to 5 Gbps. You can be certain that your files display and copy very quickly, minimizing your down time and increasing your productivity. 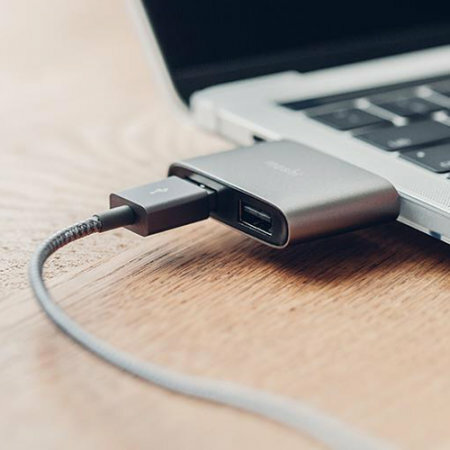 This adapter is really compact and weights less than 30 grams, meaning you can easily carry it along with your laptop whilst on business or traveling. 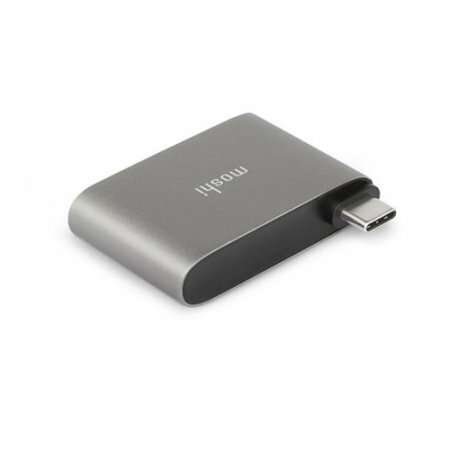 A 100% plug & play concept guarantees excellent compatibility and allows you to use it straight out the box. There is no need for any addition drivers or software, making the operation of the adapter really simple. Please note: The adapter does not come with any of the additional cables or devices pictured.